TOP highlights in Marrakech we highly recommend to do. 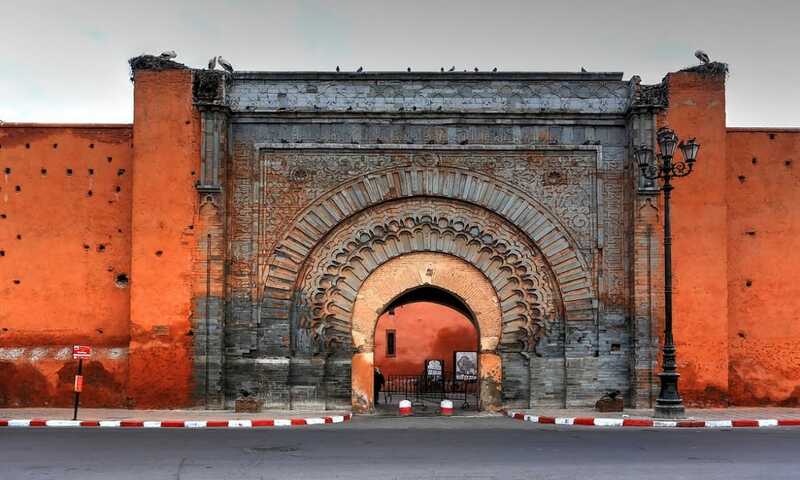 Admire Marrakesh’s most famous city gate: Built in the year 1190 and restored in the 18th century, the gate with its typical decoration connected the Medina (old town) with the Kasbah, the old government district. 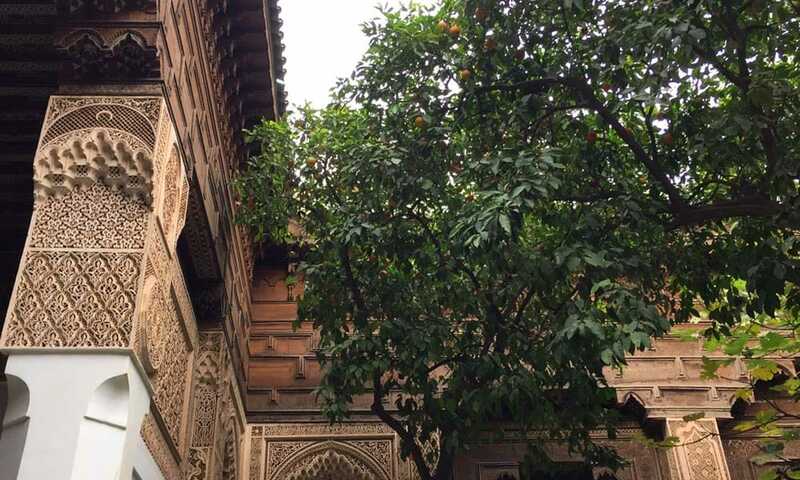 The building is an important testimony of Moorish architecture. 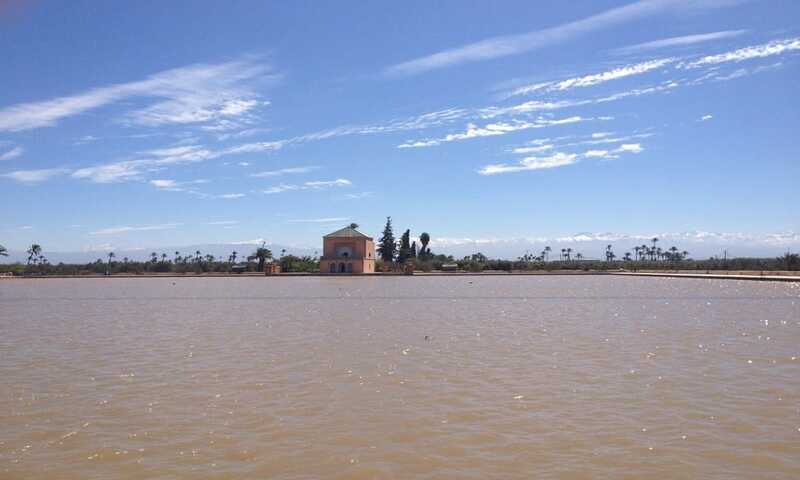 Visit one of the most beautiful sites of Moroccan history: Built in the 19thcentury with the goal to surpass the beauty of all other palaces of its time, Bahia Palace enchants visitors with its 160 rooms and courtyards of the finest in Andalusian and Moorish architecture. Visit North Africa’s largest Islamic university of old: In the 16th century up to 900 students lived at the school studying Islamic law and theology. Medersa Ben Youssef was turned into a Museum in 1960 and has since its restoration in 1999 become one of Marrakesh’s most popular sights. Enjoy the view – by day or night – at the NOMAD roof terrace overlooking Place des Epices: By day or night, NOMAD is a fascinating and famous place, though very touristic. 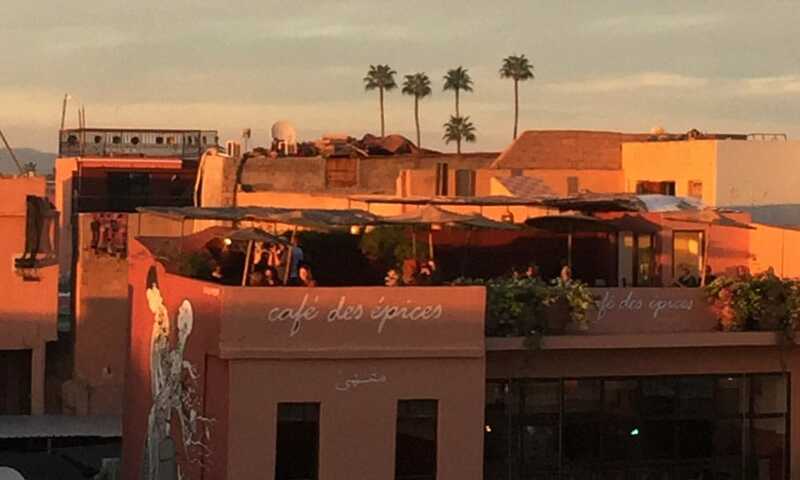 The restaurant is popular with expats and visitors alike, who enjoy modern Moroccan cuisine in a stylish atmosphere overlooking the Place below. Reservation recommended. 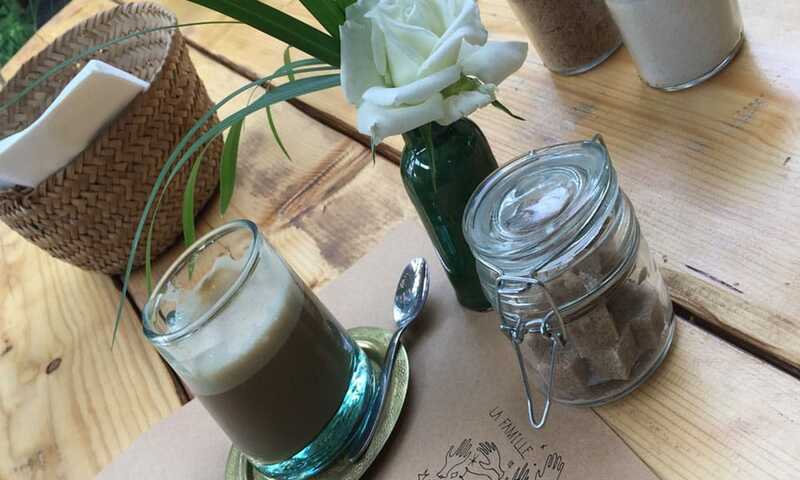 Enjoy French style coffee in one of Marrakesh’s most famous coffee houses: Café de la Poste has truly been an institution in Marrakesh since the 1920s and remains an important part of its modern, French-influenced history. Located outside the Medina, a visit here provides a good opportunity to discover Marrakesh’s new town. 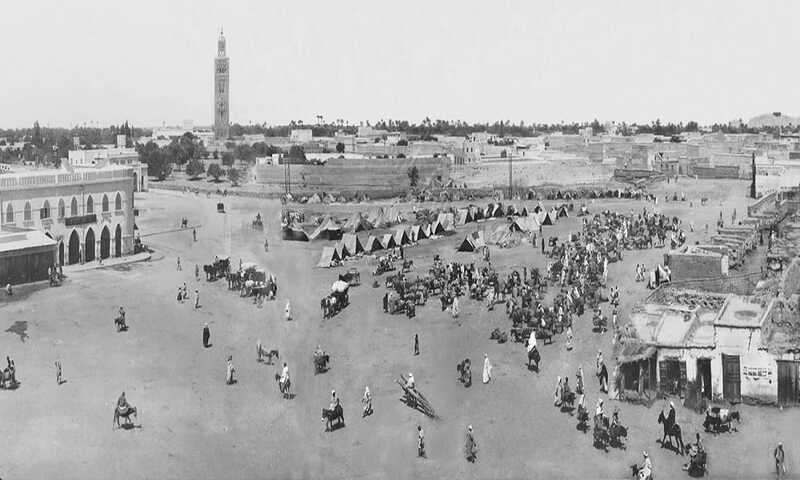 Discover Marrakesh’s central market place, used to be the site of public executions, which explains its name, translated as „assembly of the dead“. 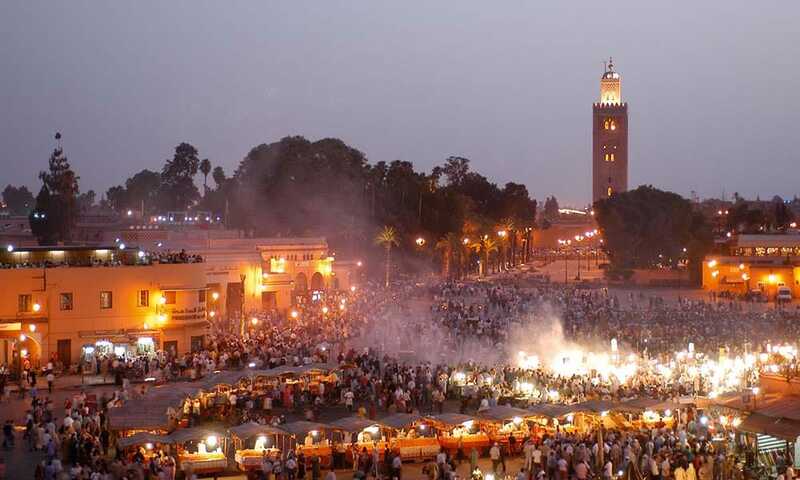 Today the square is part of UNESCO’s intangible cultural heritage and popular both with locals and tourists – particularly at night, when it is filled with local entertainers and the smell of Moroccan food. 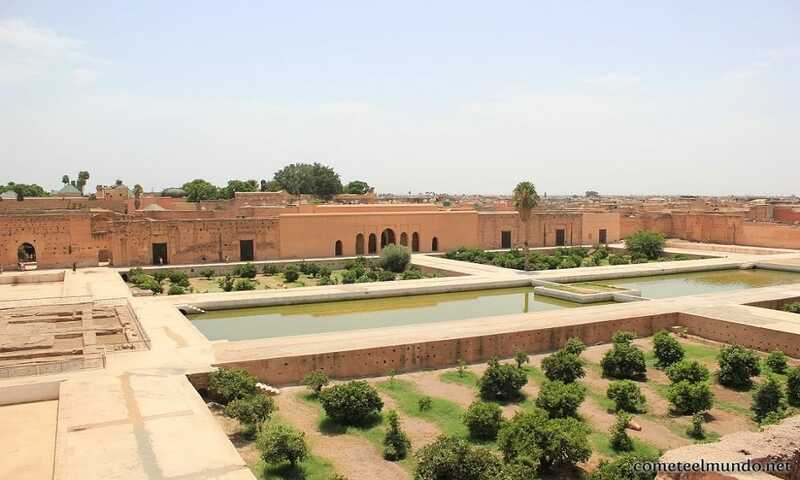 Visit the historic palace in Marrakesh’s Kasbah quarter: Following his victory in the famous “Battle of Three Kings” at the end of the 16th century, Sultan Ahmad al-Mansur built this palace. Its remaining marble capitals are testament to its former splendor that has been stripped away several times for the construction of new palaces. 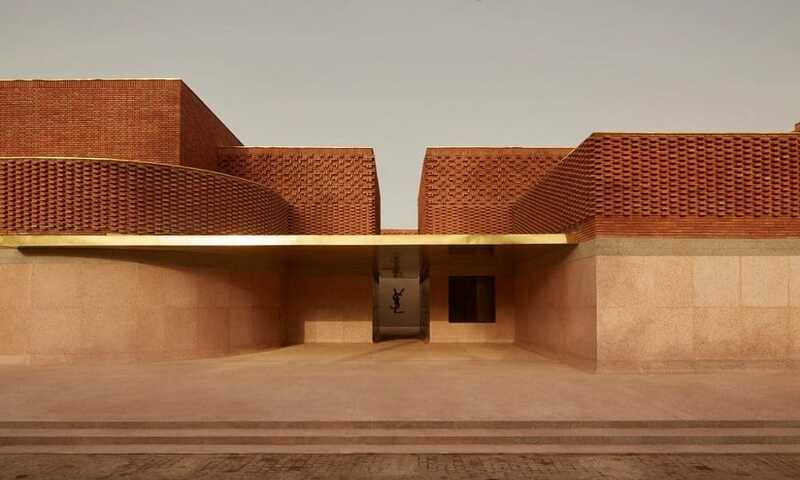 Learn about Morocco’s history in fascinating photographs: Marrakesh’s photography museum has more than 4500 images on display illustrating Morocco’s history between 1870 and 1950. 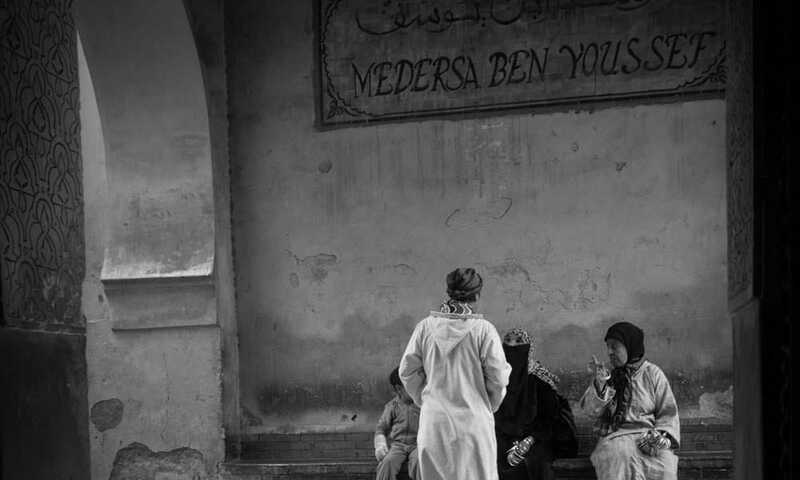 Fascinating portrays by world renowned photographers allow visitors to dive into Morocco’s historical cultural diversity. 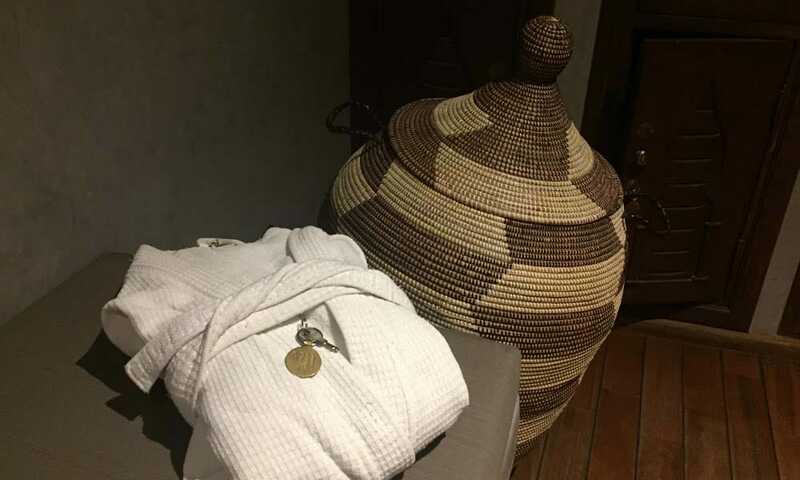 Spoil yourself and experience a traditional Hammam in the heart of the Medina: Do you want to experience a traditional Moroccan bath and get scrubbed to feel your skin like baby skin afterwards? 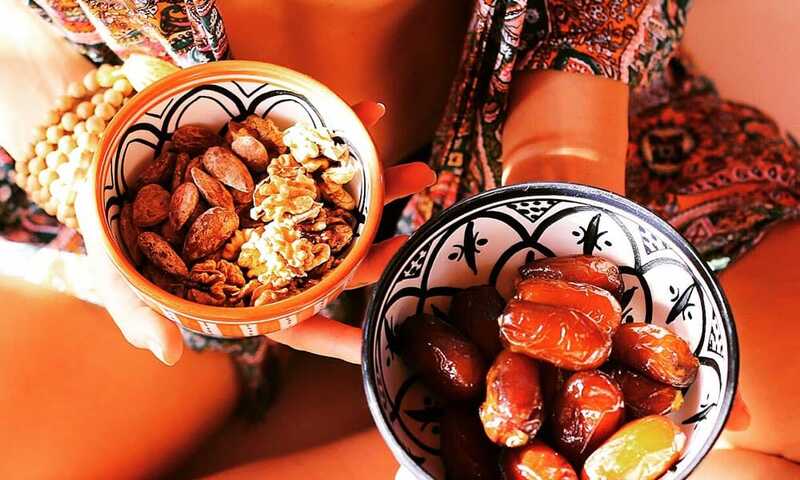 Then do not miss to book yourself a Hammam package. 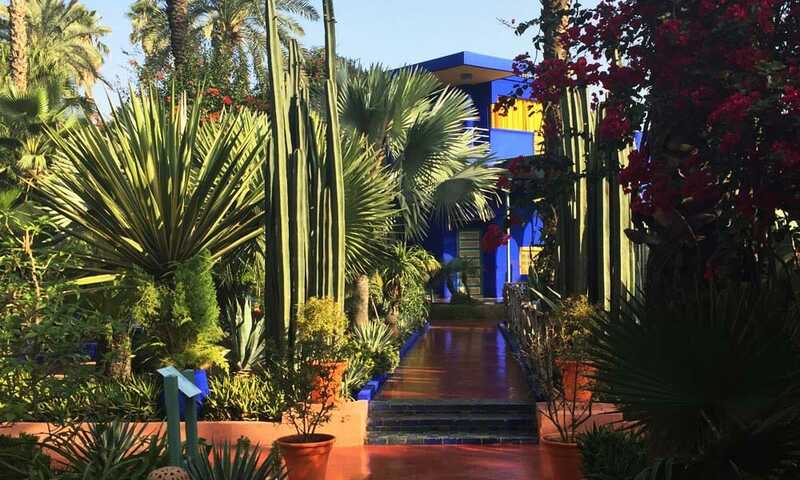 See one of the most beautiful and exciting gardens of Marrakesh: The impressive garden was created in 1923 by French painter Jacques Majorelle and purchased in 1980 by famous fashion designer Yves Saint Laurent and his partner. The garden is home to plants from all corners of the globe and includes a former studio as well as the Villa – painted in typical Majorelle-blue, as well as a cosy café for visitors. 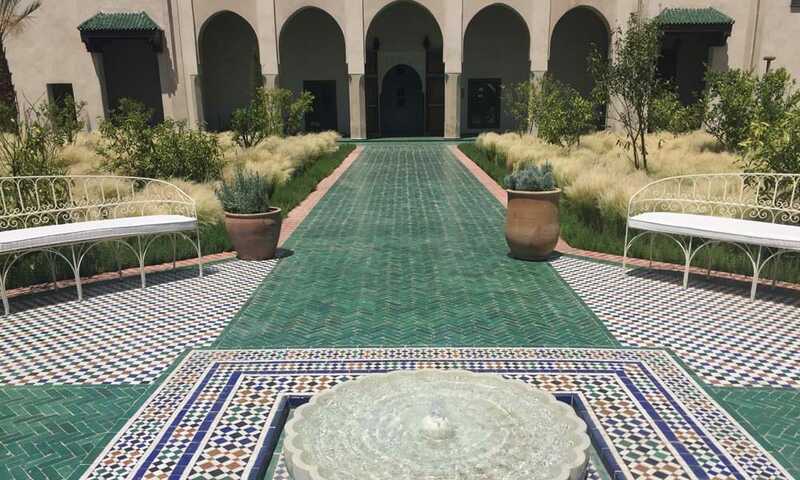 Le Jardin Secret has been the home of some of Morocco and Marrakech’s most important political figures. Today you are able to fully appreciate its outstanding beauty again, thanks to the recent renovation. 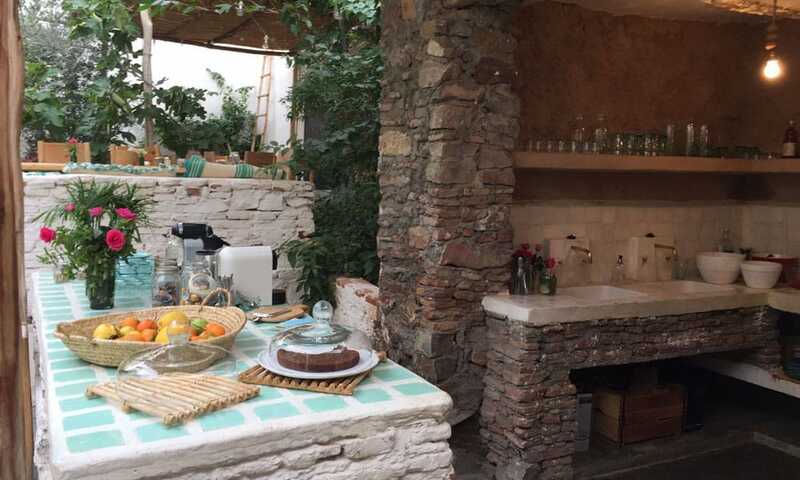 Enjoy a glass of wine, a tasty cocktail and fresh juice, some nice snacks and the best sunset with unique view from the cozy terrace to Marrakech's former Jewish quarter - the Mellah. 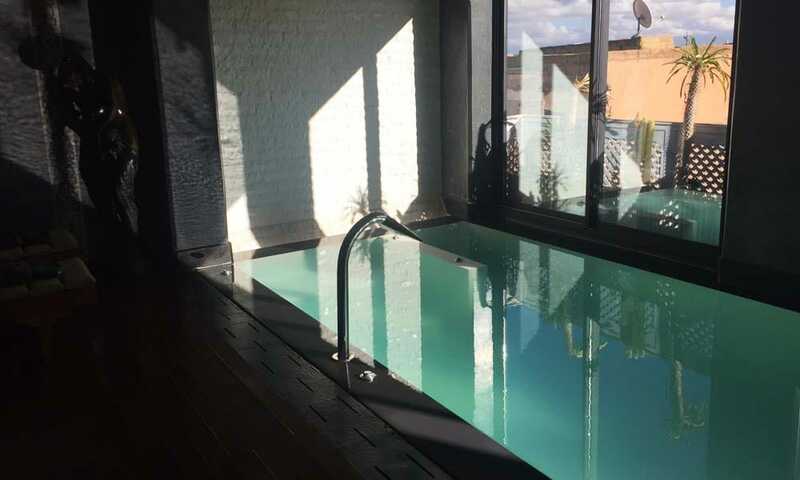 Next to this very nice sunset bar, you will also find a very nice and quite fancy Spa, that offers all kind of modern and traditional Moroccan Spa treatments. Reservations recommended. 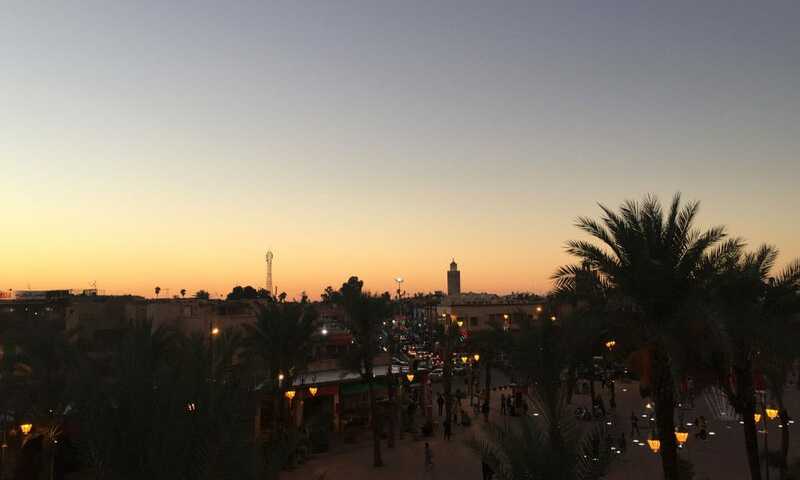 Marvel at Marrakesh’s most historic Mosque: In spitting distance from the prominent and historic Jemaa el Fna market place is this 12thcentury mosque – not just one of the oldest, but also one of the most beautiful in the country. 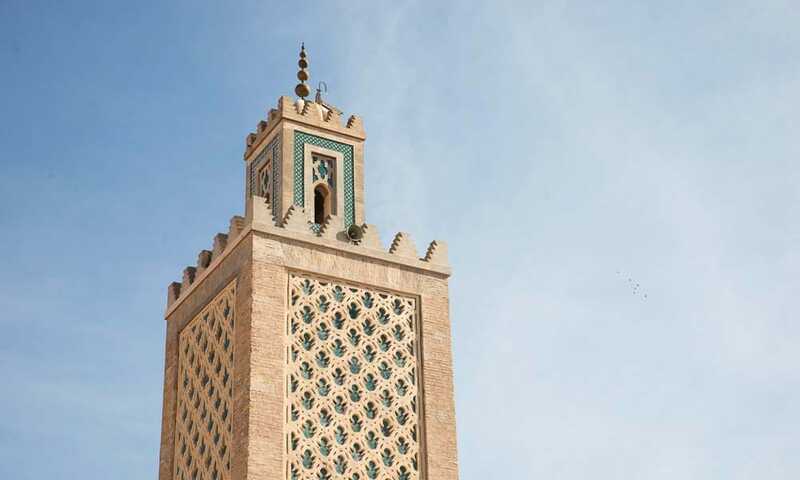 Its minaret is an important Moroccan landmark that is illuminated every night. Fancy vegetarian soul food? Enjoy the unique menu of the day at La Famille and the beautiful atmosphere in its green inner courtyard before delving into the in-house concept store. The restaurant is a tranquil oasis, where body and soul can relax before heading back into the bustling Medina. Prior reserve! 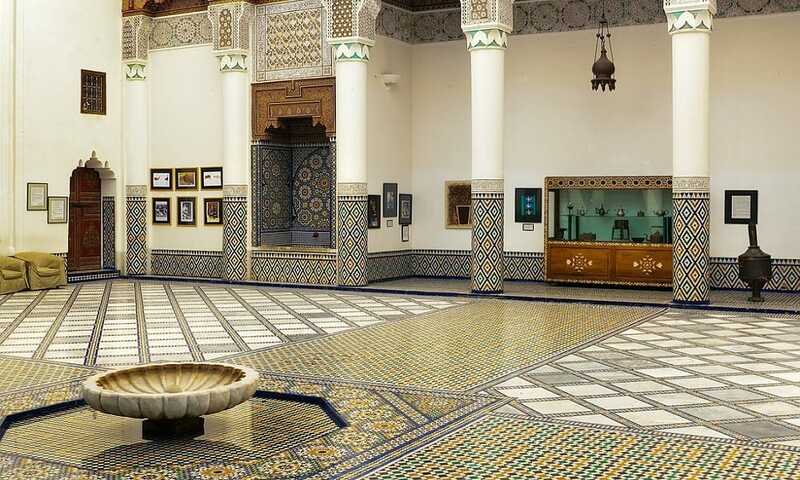 Marrakesh museum hosts collection of paintings and objects from the city’s history in an impressive setting. Great architecture paired with impressive decorations invites visitors to dive into the city’s rich culture. 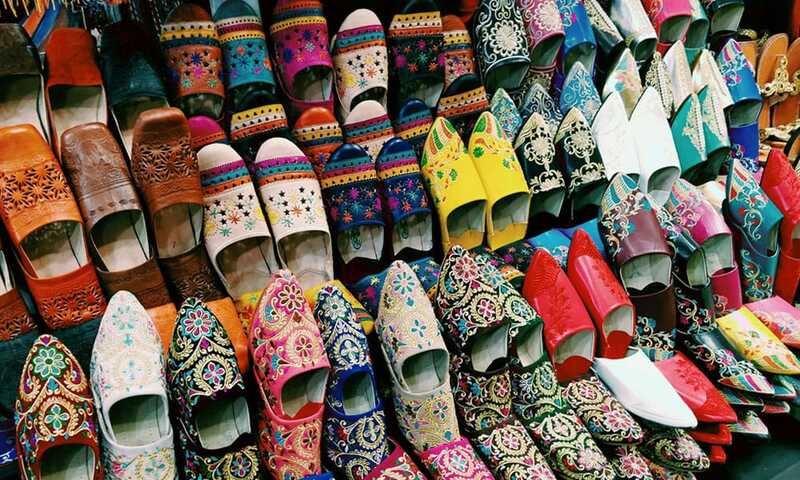 Lose yourself in Marrakesh’s wonderful Medina: Barter in the souqs for traditional Moroccan craftsmanship, such as textiles and carpets, and find unique souvenirs. If you are not in a spending mood – just take in the atmosphere. Bustling with activity, colorful, and full of the scents of spices from all over the world, the Medina truly is a magical place. Enjoy a stroll through this 100 hectare (250 acre) garden that features a basin that provides fresh water from the Atlas mountains for countless plants – a true source of tranquility at the heart of this vibrant city! 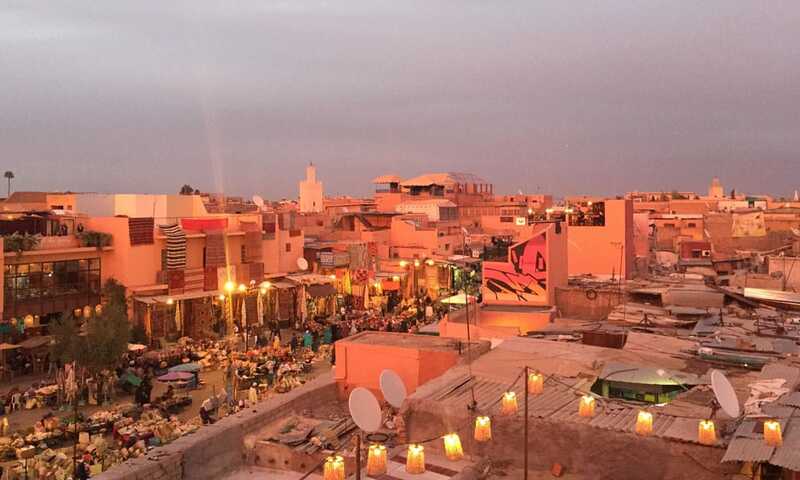 Enjoy a dinner of a special and different kind in Marrakesh: Hosted by an Austrian couple you can enjoy top quality modern oriental cuisine cooked with fresh ingredients – and the city’s best cheesecake. Find anything you have been looking for in Morocco in this small market: Spices, soaps, hats, bags, wonderful blankets and tapestries, as well as a singular view over the colorful hustle in the small market square from one of its many cafés. 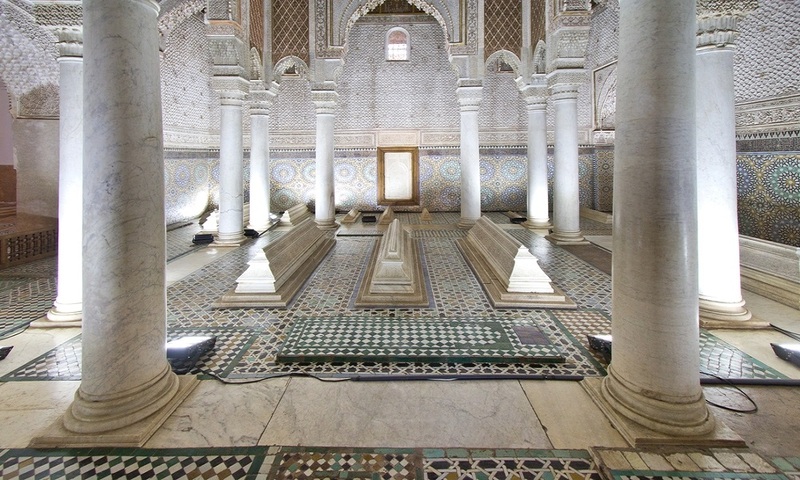 Dive into Morocco’s history and visit the tombs of the Saadians: The sultans from this dynasty ruled in the 16thand 17thcenturies and left us with these impressive mausolea with their elaborate stucco work and colorful mosaics. Are you planning a trip to Jardin Majorelle? Right next to the famous Majorelle garden is the YSL-Museum, where you can learn everything about the famous French designer, his life in Morocco, and his relationship with this wonderful garden. Fancy relaxation, nature, and good food? 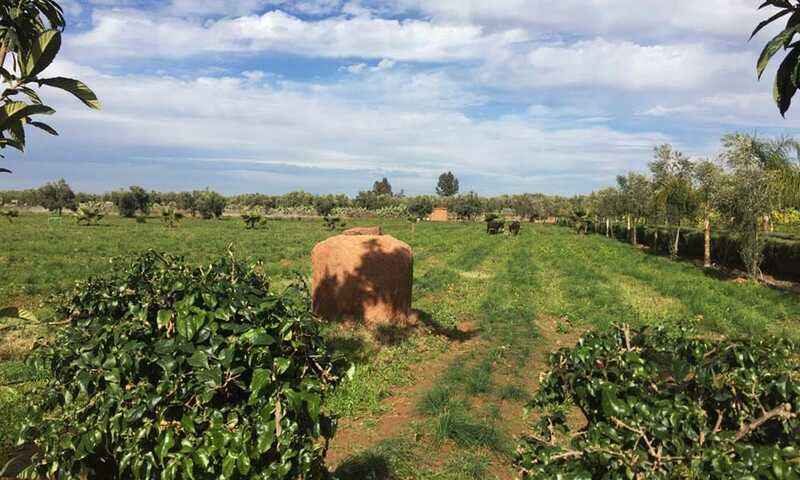 40km (25 miles) from the center of Marrakesh you can find the ideal place to escape the hectic metropolis. Paradis du Safran combines a saffron farm, a botanical garden, a barefoot path with herbal foot-baths, and great food, prominently featuring saffron – naturally.